As Jon says,“The King in question being the wren I believe, it’s one I learnt from Martin Carthy.” Timely indeed and fitting the wren boy tradition for today. It’s a most curious custom and one that I’ve read up on for my Advent Calendar project. I think it comes down to the fact that the wren is still active and singing in winter, like the hare in its thick seasonal fur and the evergreen holy, ivy and so forth it therefore gained a significance. Mainly Norfolk has some sleeve notes that take the line of kingly sacrifice. I note the suggestion of a substitute for the real monarch, but would love to know more about this and any reliable source of or evidence for the idea. As has been pointed out on this site already ideas of pagan ritual may well be more recent invention than genuine history. But then there’s the whole dressing up in straw disguises that all suggests something truly arcane. Still as Reinhard’s site makes clear the custom is where Steeleye derived their Please To See The King album title from. Perhaps the historians can enlighten us a little more, while I sincerely hope that any wren boys still out there are content with a symbolic bird. I’ve always liked the busy little chaps flitting around the bushes and think they are best left that way. This entry was posted on Friday, December 26th, 2014 at 12:00 am and is filed under News. You can follow any responses to this entry through the RSS 2.0 feed. You can leave a response, or trackback from your own site. E.Estyn Evans in “Irish Folk Ways”,first published in 1957,states that, in many parts of Ireland,St.Stephen’s Day is associated with the hunting of the wren and at the time this sport was not entirely extinct. He remarks that even though the rhymes that are sung are of English origin,the wrenboys often wore straw masks, in the Irish tradition, and occasionally animal skins or horns. He says that the wrens had ben killed early on St Stephen’s Day by rowdy groups of youths,who carried a tambourine made of sheep or goat skin which they beat when hunting the wrens. The wrens were carried on a holly bush or a specially decorated wooden tray in a procession from house to house with the wrenboys demanding money or drinks. This was a noisy affair with the wrenboys shouting and singing the prescribed songs to the accompaniment of the skin tambourines. A paper published in 1946 in the Ulster Journal of Archaaeology states that,at one time,”the wrenboy ceremonies involved much fertility symbolism and were attended by men disguised as women”. In his “Stations of the Sun” Ronald Hutton adds significantly to the above by giving details of the tradition in West Wales and the Isle Of Man. Death by bodhran? Cue the old jokes. I wonder how they caught the wrens… in traps?…….glue on branches?….bodhran? Thanks to Ted Ramsden for the link to the straw bears……never complain about a “bad hair day” again…and checking the photos…they burn the bear at the end…..I do hope they take the fella out first! @ Muzza: I checked the photographs and they definitely appear to take out the ‘bear boy’ before burning! There used to be many more photos on the site. Some better ones have gone, including a photo of men with black masks or make-up on, dressed a bit Morris Dancer suit-style, carrying a stretcher with a whole load of different, small (non-straw) teddy bears on it. Hilarious! Your last post was @2.08am!!!! Couldn’t sleep eh Ted!..worrying about the bears. Just finished watching the first of the christmas pressies. Thought I’dcheck out the site and found tomorrows song already on what a nice way to end christmas day. Tomorrow day out with Captain Ward and Steeleye Span. Bellowhead DVDS still to come. the lads must be desperate(or callous) to drag a recovering invalid out of his cosy home. And I suspect a chap should speak very clearly if apprehended by a policeman on Clapham Common if he says that he is a “Wrenboy”. I’d love to see you Muzza morris dancing, it’s a pity I can only read this. Don’t bother with the clutter – books do not actually do the job. Thought this was a pleasant song. As for the wren as Jane and Peter have been and put on their poetry hat here is another litlle rhyme. Very good Daina! Your own work? ‘Its perky tail up in the air’ sruck a chord with me -Perky is the name of my cat…and I think she’s already been out, hunting wrens! Great performance Jon, but I’m not too keen on the actual song; maybe because I feel sympathy for the wren, despite owning a bird-killing moggy! Well done Pewter, yes you are right, mind you it was done on the spur of the moment as I sat here at the computer. Perky now that’s a good name for a cat, Ella is good at catching butterflies, the peacock at least, which she brings in and lets loose in the kichen for me to rescue and release. Unfortunately there has been a dearth of butterflies this year, but not birds – she is too slow for them. You will enjoy the Hedonism DVD. Have you got the Burlesque one? That’s great also. I was given the Bellow CD which was one that was new to me. Got a lot of the songs already but I shall enjoy! What’s a kichen? All answers on a postcard please. A kitchen is a place no self-respecting woman allows hersen to be chained to, as it is, well, kitsch! In my house, it is most definitely the kit-chen! And I see Muzza now has “kittens rushing about to get to places on time.” Where are they all going? Please take care with that hip! Beautifully sung again Jon. Am reminded now, not of wrens, but the Whittlesea Bear. Must go visit Ted’s kin on their website! PS Skyman. Working backwards on the Alternative Advent Calendar. Tried to leave a comment, but it weren’t having any of it! I have stopped pressing the button, in case this causes you any problem your end, as I have done before! HAHAHAHAHAHA! But rest assured, I am appreciating it. I think it’s another word for hungry: when you leave your kitchen without your tea. Jane, I didn’t think you had read it correctly but I really like your definitions. Prefer the Grasshopper to the furry stuff though. How very sharp you are Reinhard, have you been in the knife box? By the way Reinhard seeing how some of us now have new names I have found the perfect name for you – Reynard from Old High German Reginhart (literally strong in counsel). How do you like that?!!! Just wondering:while you are treating this as a Chat Show,how many of us would like to hear less of your personal chat and more about Jon and the music? I agree with Janie; just cannot make the ‘submit’ button work on the Advent calendar, grrrr! And I did so want to heap praise on Skyman for the grand job he’s done. Especially enjoyed the Anùna track, ‘Winter Fire and Snow’ – absolutely beautiful! I managed to ‘sruck’ a chord in my last posting – the JaJoDi ‘srikes’ again, hahaha! Reinhard derivates from Reginhard too, so Reynard will be fine. I insist, though, that you won’t hunt and kill me, being what you are! I wonder how often Jon’s name is misspelled. Amazon shows several folk CDs on the Gift of Music label that are credited to John Spires and Jon Bowden. And the Fellside album “A Selection from The Penguin Book of English Folk Songs” features a John Bowden. 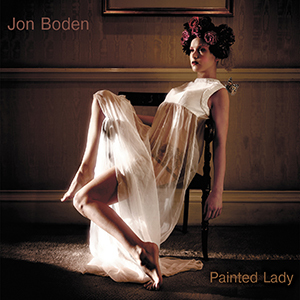 But as this album is from 1986, this Bowden might really be a different musician than Jon. Bye the way …..you forgot to tell us what you thought of todays song! Muzza thanks for new name to add to my collection and thanks for granting my wish. Can highly recommend Whittlesea Straw Bear festival – lots of Morris, Molly, sword and clog dance teams as well as the bear himself. The guys with black faces carrying a little straw bear on a stretcher in the procession are Old Glory Molly, well worth having a look on YouTube. According to legend, the birds had a competition to see who could fly the highest. The eagle thought he had won, but the wren had hidden in his feathers and thus won the competition and became king of the birds. Hope everyone had a good Christmas; all the best for the other 11 days! An interesting song – ode to a wren. Linda did you get my email. I hope I send it to the correct address. 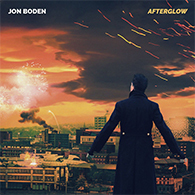 Re John Bowden who appears on the Penguin Book CD and others too. He is a different person, also from Sheffield, who was around long before Jon Boden! 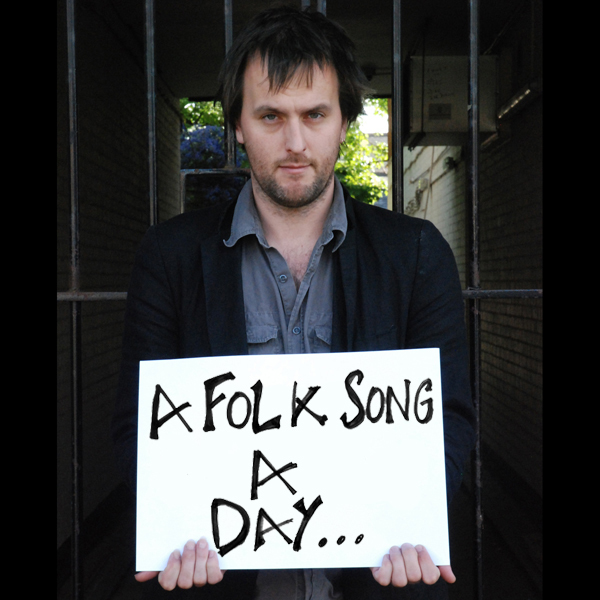 See http://www.fatea-records.co.uk/magazineOld/2015/VicJohn.html for more about him.